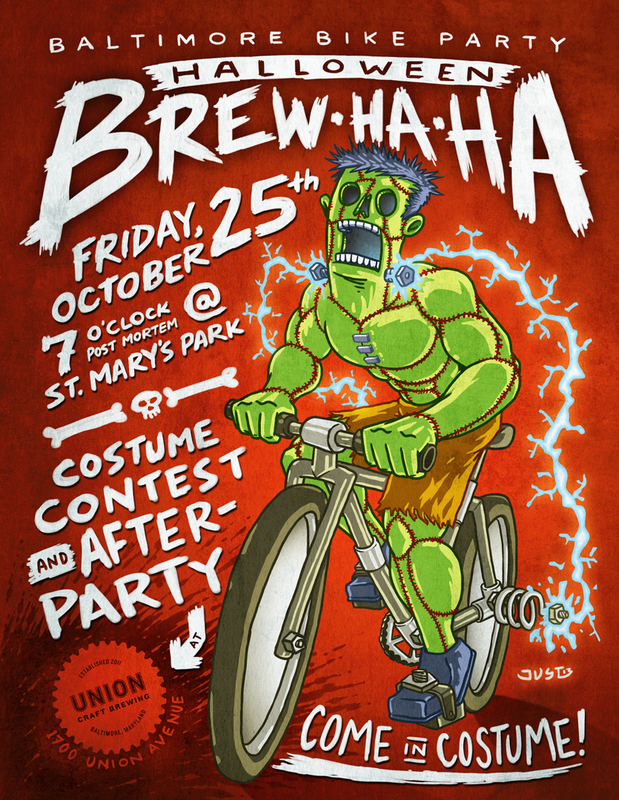 Baltimore Bike Party: Halloween Brew-Ha-Ha! get your costumes ready for the biggest Bike Party of the year! this is the Bike Party NOT TO MISS! come join us as we once again meet at St. Mary’s Park to parade around the city (in one mass) with full, haunting absurdity! as always, meet at 7pm, roll out at 7:30 sharp! brush up on the rules of the road and what to bring!